paying the price as a result. The NTSB published the 2017 report following its investigation into a horrific California motorcoach crash that killed four passengers and injured another 20 in August 2016. The motorcoach was transporting passengers from Los Angeles to Modesto when, just after 3:00 a.m., it drifted from its lane, striking a barrier system and signpost. The signpost punctured the motorcoach’s passenger compartment and tore through nearly the entire length of the vehicle, causing a wide variety of injuries. The NTSB investigation revealed the driver was severely sleep deprived and in a state of “acute sleep loss” at the time of the accident, having only had the opportunity for five hours of sleep in the preceding 40 hours. A lack of tire marks or any other evidence indicating an attempt to avoid the collision suggests that the driver fell asleep at the wheel. The NTSB also found that the company, Fresno-based Autobuses Coordinados, was allowed to continue operating, despite having “demonstrated its repeated lack of compliance.” Autobuses Coordinados buses and motorcoaches failed eight out of 29 federal inspections in a less than two-year period, making the company’s out-of-service rate five times that of the national average. Additionally, the NTSB found that Autobuses Coordinados drivers violated FMCSA hours-of-service regulations by working too many hours and falsifying their logbooks. As a result, “lack of oversight” was a contributing factor in the accident, according to the NTSB. The report also said that driving when human performance is often impaired—such as in the early morning hours—presents a unique risk to public safety. The report cited deadly 2011 motorcoach crashes in New York and Virginia that involved fatigued drivers. According to the NTSB report, the FMCSA simply hasn’t done enough to keep unsafe truckers off the road. 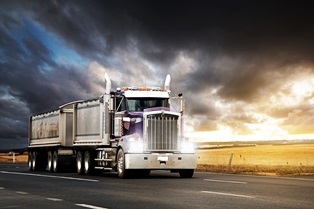 In addition to failing to enforce important safety regulations, the FMCSA announced in 2017 that it was abandoning a regulatory proposal to improve its safety rating system and would no longer work to develop sleep apnea rules for commercial truck drivers. The NTSB report encouraged the FMCSA to make significant changes to its motor carrier safety rating system to prevent unsafe drivers and carriers from slipping through the regulatory cracks. It called on the agency to hold non-compliant commercial carriers and drivers accountable by requiring that they either mitigate safety issues or receive an out-of-service order. Additional recommendations include developing hours-of-service regulations for passenger-carrying commercial overnight drivers that incorporates scientifically-based fatigue mitigation strategies. In a statement to CBS News, the FMCSA said that it would thoroughly review the NTSB’s investigation findings, and that safety would remain the agency’s highest priority. Being involved in a truck or bus crash can be a life-changing experience. If you were seriously injured in a commercial vehicle caused by a negligent operator or motor carrier, you may be entitled to compensation for physical injuries and other losses, such as property damage, medical expenses, lost wages, and other damages. McGartland Law Firm’s knowledgeable and award-winning legal team can help truck and bus accident victims explore and understand their options for compensation. Contact our attorneys today to schedule an appointment for a free initial case analysis.